Oh books, lovely books. In 2012 I keep a list of most of the books I read. I thought I'd do the same for 2013, but somewhere along the road I kinda stopped recording. So here is my list from the first half of 2013. After these I read a few more - including some travel guides. I like lonely planet for reading before you go. I don't find the guide books are great for specific restaurants as things change so quickly. 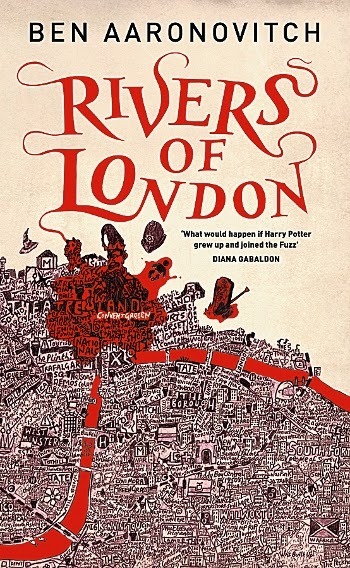 I really enjoyed 'Rivers of London'. It's an easy read and feels a bit like a cross between Neil Gaiman's 'Neverwhere' and China Mieville's 'Kraken'. Both of which are great 'urban fantasies' (although Kraken could do with a little editing in my opinion). I also read (most of) 1Q84 by Haruki Murakami (I read books 1,2 and part of 3 but by then I didn't care what happened, so I stopped) and another book by Ben Aaronovitch. I'm reading a little bit less recently as I've not been well and it takes more energy to read than listen to podcasts. I might investigate some audio books this year.